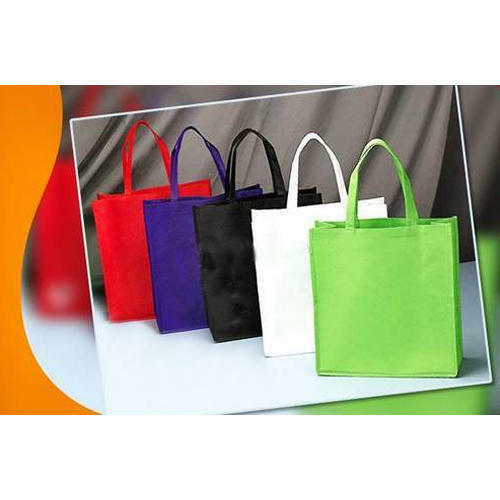 Owing to the efforts of our dedicated team of professionals, we have been constantly engaged in offering the best quality Colored Loop Handle Non Woven Bags. Mahalaxmi Packaging Works has made a well-recognized name as a manufacturer of Printed Non Woven Carry Bag, W Cut Non Woven Bag, Non Woven Carry Bags. We have achieved expertise in catering to the requirements of our clients exactly as per their specifications. We emphasize on stringent quality standards in order to ensure that the products provided to our clients is always optimum to its level.